Hello lovely knitters! I’ve been absent from the blog for too long, meaning I have an overdue announcement to make! 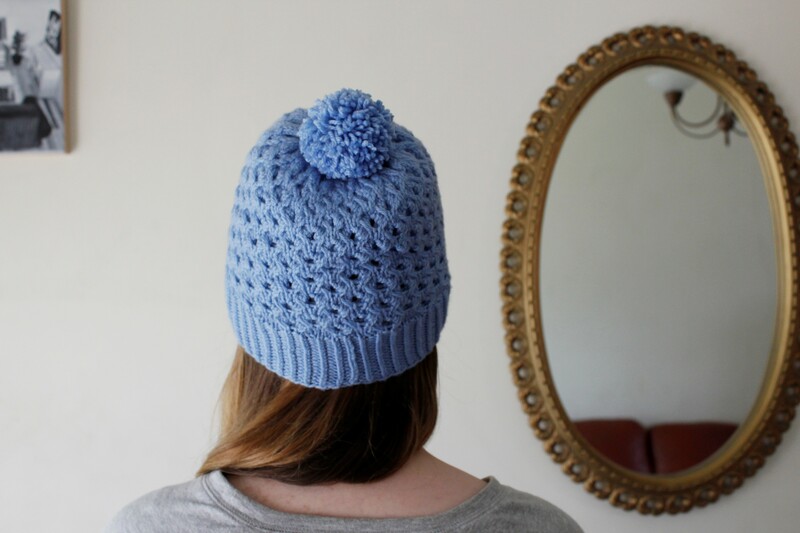 This is the Macklin Hat, my first pattern uploaded to Ravelry. I am so excited to finally have my work available online, and to share it with you all it is available for free. That’s right, FOR FREE! quickly (in fact if you were knitting monogamously you could make it in a day! ), and uses exactly 100g of yarn (dependent on the size of your pom pom). This makes it perfect for indie dyed one-off skeins, commercial yarns, anything! One of my favourite aspects of pattern design is definitely seeing where ideas can go – what colours are chosen, what yarn bases are experimented with, what modifications are made. I hope you enjoy the pattern and I can’t wait to see your version! Previous Post Hello lovely knitters of the internet!